Give a man a fish and you feed him for a day; teach a man to fish and you feed him for a lifetime. A project in Somaliland to do just that has had Maersk Line’s support for the past two years. Somaliland combines challenges with opportunities. Located on the Gulf of Aden, it is an autonomous region of Somalia and a self-declared state. As such it is fragile and the world’s fourth poorest, with youth unemployment as high as 67%. Livestock amounts to 60% of GDP, but Somaliland’s 800-kilometre coastline is rich in fish stocks. The area has notoriously been prone to pirate activity targeting the busy shipping lanes going through the Gulf of Aden. A military effort to curb piracy is one part of the puzzle; helping to develop alternative means of income to the people living in extreme poverty is another. Over the past two years, Maersk Line has partnered with FairFishing in the port of Berbera to set up a functioning cold storage system in Maersk Line refrigerated containers able to treat up to 4.5 tonnes of fish per day. 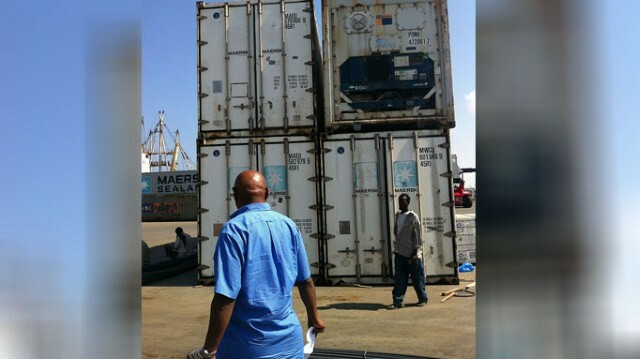 Maersk Line reefer containers arrive in Berbera. 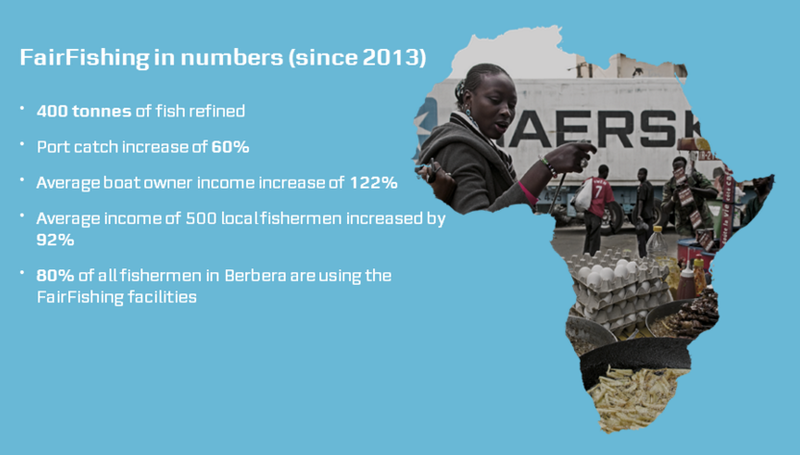 Since its opening in 2013, 400 tonnes of fish have been refined in the FairFishing facilities, and the port has seen a catch increase of 60%, lifting the income of local fishermen dramatically. To ensure long-term effects of the project, the work ha s focused on transferring skills to local communities and building a sustainable model for fisheries, including upgrading vessels, conveying equipment and training the fishermen within Somaliland, particularly in relation to employment of youth and women. Maersk Line & FairFishing in Somaliland were nominated for the ‘CSR Abroad Prize’ at the annual CSR Awards* conference on 7 October 2015 in Aarhus, Denmark. Based on the success in Berbera, the ‘FairFishing’ project is now exploring opportunities to export fish to Adidas Ababa over the next year. *The CSR Awards is a major Danish annual conference, which aims to create awareness and debate on corporate social responsibility. The objective of CSR Awards is to raise awareness of CSR and motivate more companies to integrate CSR in the way of doing and innovating business.